So…I am now committed to a summer of no air conditioning and a few long road trips! Yup…I sold “The Booger”, my ’97 Astro Van/Mountain Bike Hauler. No going back now, but I need to get a few things taken care of! 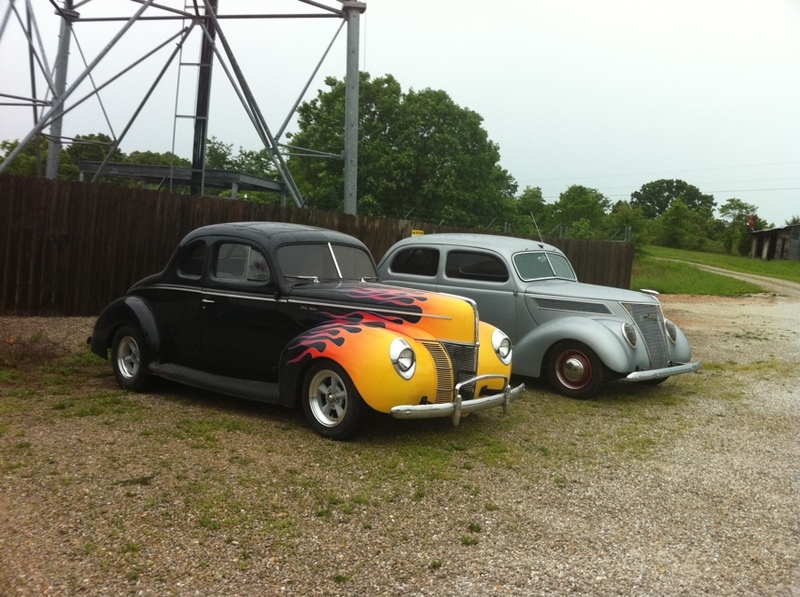 I began the preparation for this by putting down some heat shield in both cars, the ’40 and the ’37, to help reduce the amount of radiant heat that comes up through the floorboard. Something about having mufflers just below the front seat tends to warm up the passenger compartment! I also needed to close up the gap between the floorboard and the steering column, which sometimes felt like a blast furnace! Next thing I gotta figure out is how in the heck to haul my mountain bike! Didn’t plan ahead on that one! Your right there! Must admit I rarely open the screen for fear that it might flex & crack the glass, the cowl vent is another story though. In summer with the cowl vent fully open the flow of air is staggering.